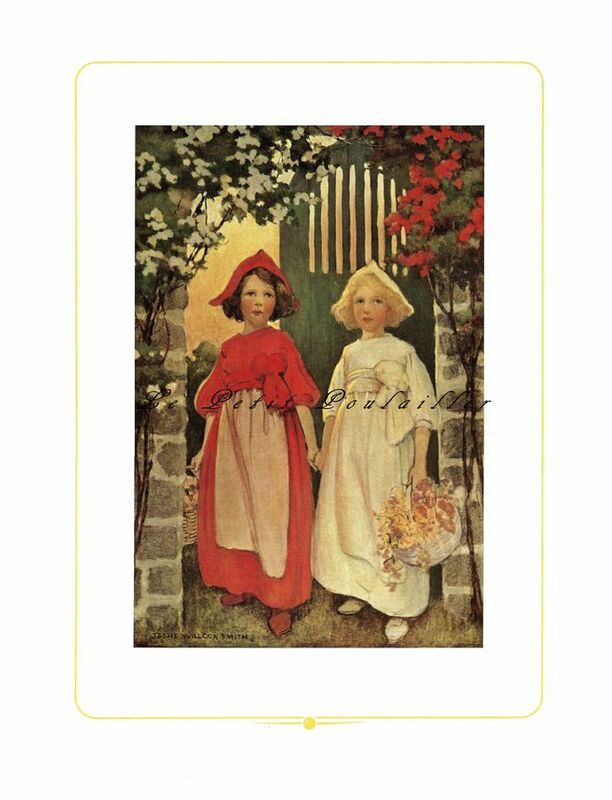 Originally published in a classic 1911 collection of Grimm's Fairy Tales, here is Jessie Willcox Smith's beautiful painting, presented here as a 1984 poster lithograph - "Snow White and Rose Red". Won't this be a wonderful large image to frame - for the nursery or your little one's room? A gorgeous image to gift for the new baby or for the young reader's book corner. And perfect image for your art - tag and card creations, collage. A lovely, timeless work of art. 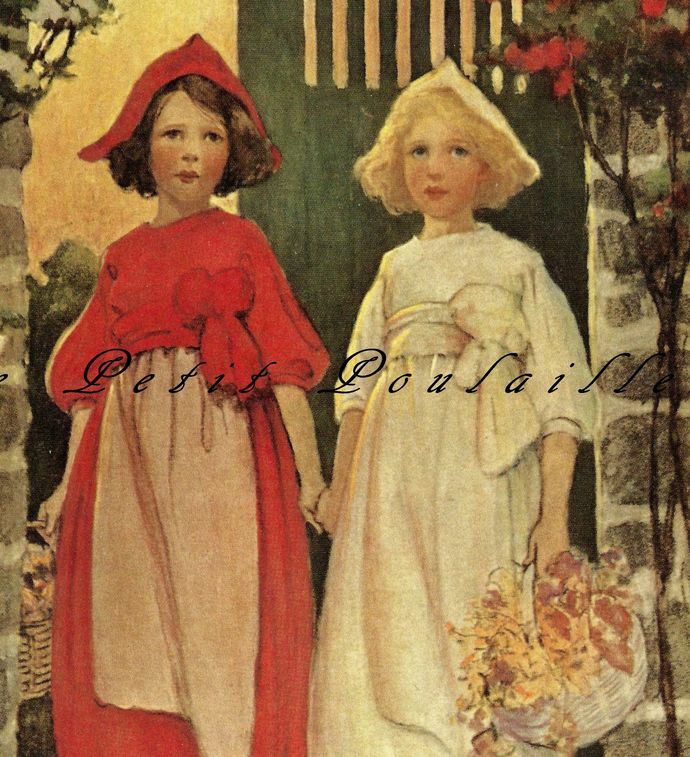 The two sweet sisters, standing at the garden gate and each with a basket of blooms ... this is ready for your frame! 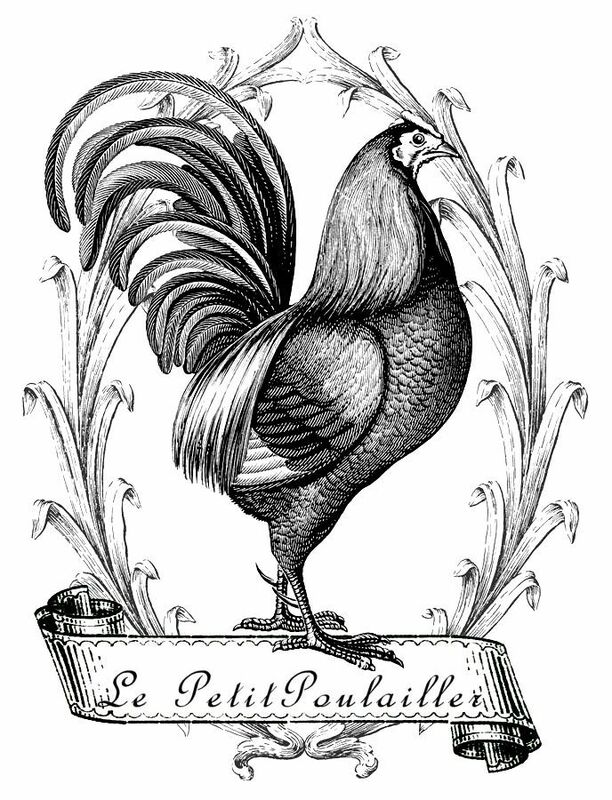 The heavy paper is blank on its reverse and is wonderfully bright and poster-sized at 10.5" x 14" (26.7x35.6 cm) with the boxed image measuring 6" x 8.25" (15.2x21 cm). The colors are clear and vivid, the paper is clean and smooth, and the lithography is bold ... Jessie Willcox Smith at her most endearing. Little tanning is seen and there are no folds, creases, marks or tears.